If you’re looking for a weekend full of swanky pampering, you’re in the right city. These beauty spots have risen to the top not only because they make you look good, but feel good too. Walk into these places this weekend to kick back, unwind and maybe even rock a new hair color. However you choose to recharge this Chicago Beauty weekend, know that you deserve it. Taije Simon can braid in her sleep. Her skill and healthy-forward technique is well known in the Chicago community. 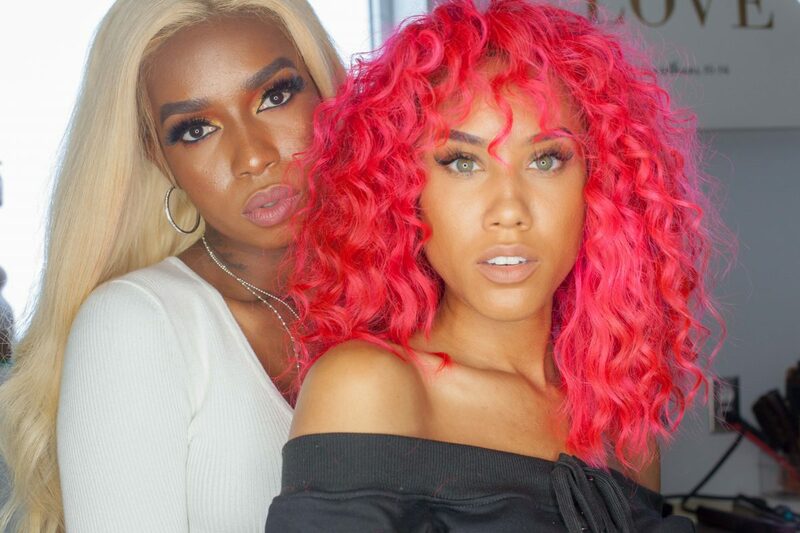 But the braids and wigs, although fantastic (for real, she’s not called the Queen of Chicago Weaves and Wigs for nothing), are not the only things that keep clients coming to Taije. Something she has that no one else does? The love effect. “The love effect is about inspiring women,” she says, “I like to make women feel great about themselves.” And she does, time and time again. If you’re in need of the love effect and looking for an entirely new hair experience, Love Taije needs to be #1 on your Chicago Beauty Weekend list. “When clients come to me, I give them a new look, a new vibe, and then send them out into the world,” says Taije. In Danyel Nicole’s salon, you’ll find some of Chicago’s most premier hair treatments, products, and services. So, it’s no surprise that she’s making her magic happen in the city’s glamorous Gold Coast neighborhood. Danyel has been doing hair for as long as she can remember, and she’s a master of the Brazilian Blowout that has people talking. 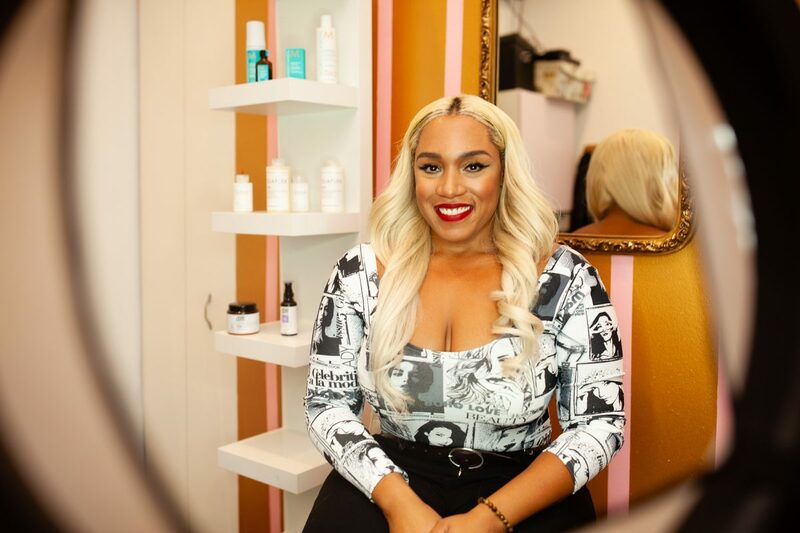 And not just any people…“I’ve done clients for the Grammy’s, the BET Awards, red carpet events, fashion week in New York and LA…” Danyel’s clientele and, of course, her talent for doing hair, is as impressive as her salon’s location. Danyel uses social media as another leg of her Chicago Beauty business to advertise specific looks and styles. 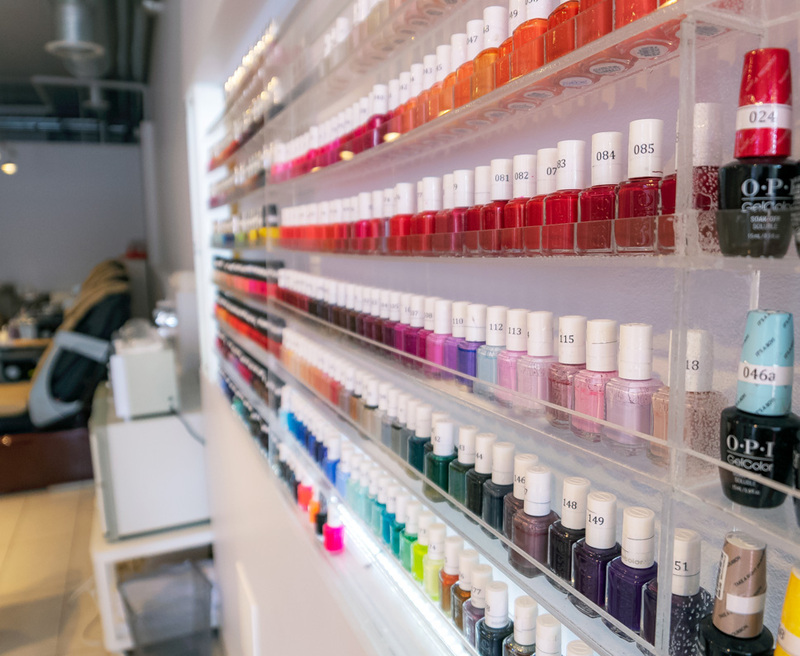 Located in the young and fun Lakeview neighborhood that tends to be cluttered with nail spots, TJM Nail & Wax rises to the top! With clients raving about their clean and modern salon, dreamy massage chairs, and great happy hour deals, it’s no shocker that they’ve garnered a perfect 5 star rating on Booksy. Side note, for anyone who thinks gel or DIP systems have taken over the nail industry (well, they have, but we have a point…), know that TJM is known for doing an amazing, classic, back-to-basics regular polish job—something that’s hard to come by these days. Everyone has their go-to nail color. Find what you like, or try something new at TJM! 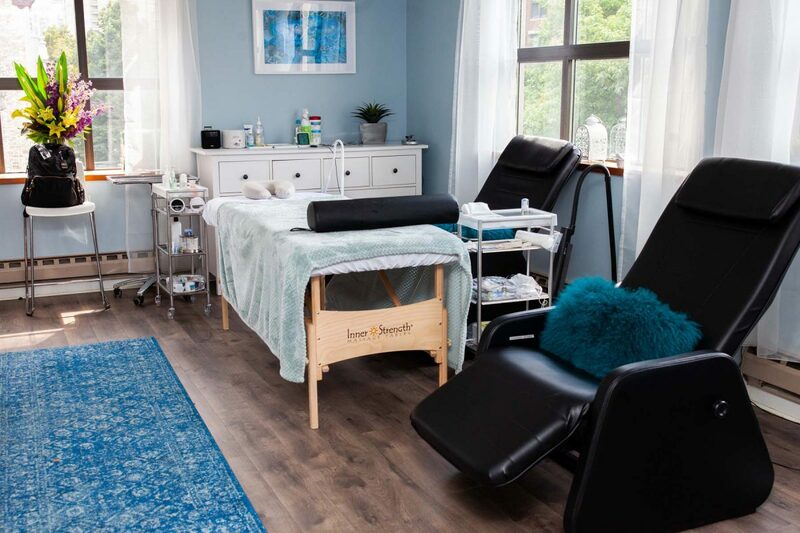 If you’re really pulling off a full beauty weekend by working your way through this article, walk yourself about 10 minutes south of TJM to find yourself at the best brow and lash destination in the city. Maya Santacruz of Chicago’s Fabulash Beauty tells us that while life isn’t perfect, our lashes and brows can be. Maya’s customers say she takes her time, is very gentle, and gives long lasting lashes at the most reasonable price around. Going to Maya for your lash needs is a no-brainer. Shana Irish was one of the first people to bring microblading to Chicago, making her as experienced as they come. She has built SKYN Studio from the ground up, providing top-tier skin and spa services in both the Lakeview and Gold Coast neighborhoods. Laser treatments, cosmetic tattooing, and microblading are skin services that have grown wildly popular these last few years. As a result, people forget that these treatments sometimes cross the line into medical territory. At SKYN, you’ll find a medical director on staff to ensure all necessary safety (I mean, come on, this is your face we’re talking about…). With Shana, you’ll receive the best in every category: price, quality, and conversation. “We’ve had people write reviews on Yelp saying coming here was like going to hang out with their girlfriends, and so having a little bit more of that casualness and that open dialogue with our clients is one of the things that people are surprised by, but enjoy as well,” says Shana about SKYN’s vibe and atmosphere. 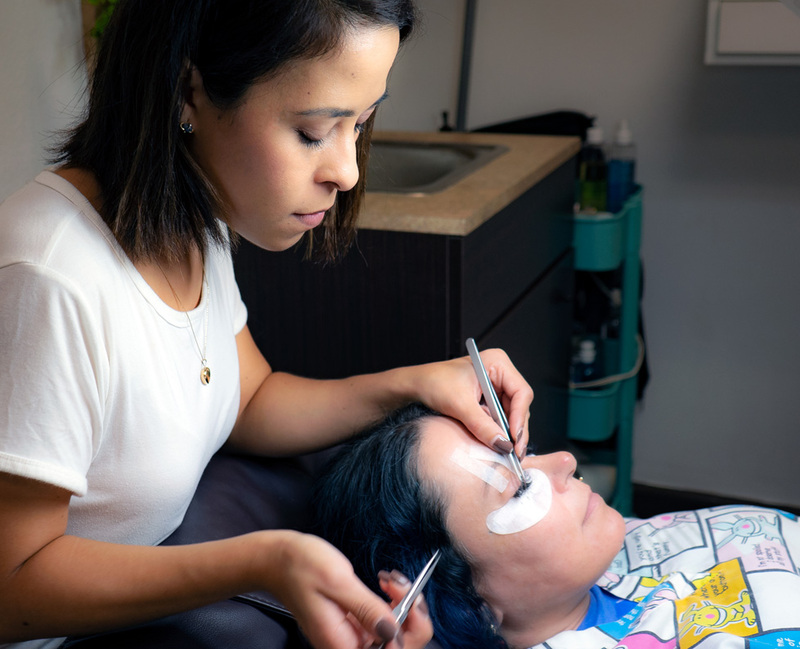 From basic brow shaping to cosmetic tattooing, you’ll find around 80 different treatments on SKYN’s service menu. Chicago, lookout! With Booksy’s top Chicago beauty experts in the area, this beauty weekend is about to hit hard. Come Sunday night, you’ll never have felt more refreshed and ready to crush yet another week ahead. Looking good means feeling good, right? Don’t forget to occasionally dedicate some time to what your body needs, and the beauty and wellness it craves!